Malaysia Specialty Coffee Association (MSCA) is pleased to announce the ranking score for Final Round, Semi Final Round and Preliminary Round of 3 competitions. Once again, thanks all the competitors for the participation and congratulations to the winners! We are thrilled to announce the winners of Malaysia Latte Art Championship, Malaysia Barista Championship, Malaysia Brewers Cup which is held on 25th to 27th January 2018 at MATRADE Exhibition & Convention Centre (MECC) in conjunction with CAFE MALAYSIA. Prestigious coffee competition is coming this week. Check out the schedule and show your moral support to your favorite competitors! Show your support to them at Cafe Malaysia, 25th - 27th January 2018, MATRADE Exhibition & Convention Centre, Kuala Lumpur. MLAC & MBrC 2018 PRELIMINARY RESULTS! Malaysia Latte Art Championship (MLAC) Preliminary Round is going to take place in less than 18 hours and 2 more days to Malaysia Brewers Cup (MBrC) Preliminary Round. Here's the full list of competitors! Who are you cheering for? Be there to show your support to your favourite ones at Atria Shopping Gallery! Stay tuned to our Facebook for more updates! MLAC & MBrC PRELIMINARIES ARE HAPPENING THIS MONTH! 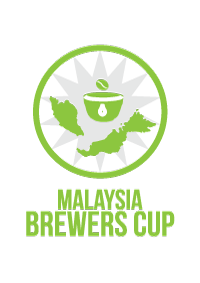 Malaysia Specialty Coffee Association (MSCA) is pleased to announce that preliminaries of Malaysia Latte Art Championship (MLAC) & The Malaysia Brewers Cup (MBrC) will be happening this month. The format of the preliminaries will follow closely to the world competition standards and only the Top 12 competitors for respective championships will be selected to compete in January 2018. Give them all the moral support you can! Malaysia Specialty Coffee Association (MSCA) is pleased to announce Judges application for 3 competitions are now OFFICIALLY OPEN. Malaysia Specialty Coffee Association (MSCA) is pleased to announce registration for 3 competitions are now OFFICIALLY OPEN. Official Machine: Victoria Arduino - sponsored by Dankoff Coffee Specialist Sdn Bhd. The 4th edition of this inaugural presentation of Café Malaysia 2018 in conjunction with Food Truck Show would be returning to MATRADE Exhibition & Convention Centre (MECC), Kuala Lumpur from 25 – 27 January 2018. It will be the largest gathering of coffee and tea industry players and will showcase equipment, machinery, accessories and other supplies and products to provide the perfect one-stop platform for industry professionals to source for supplies and discover business opportunities with the regional and international counterparts. This year around, we shall witness all three sanctioned competitions, the Malaysia Barista Championship 2018, Malaysia Brewers Cup 2018 & the Malaysia Latte Art Championship 2018, kick-off at the same time. An exciting event not be missed. The very FIRST Malaysia Siphonist Championship will be organised by Barista Guild Asia (BGA) in the history of our nation. This competition will be held during the 17th Malaysian International Food and Beverage Trade Fair (MIFB) at Kuala Lumpur Convention Centre. This competition is also endorsed by the association and the Champion will represent the nation to compete in the World Siphonist Championship which will be held in Cafe & Bakery Fair at Korea International Exhibition & Convention Center (KINTEX), Seoul this coming October.